BSCD has a dance performance team that demonstrates the art and beauty of Scottish Country Dance. 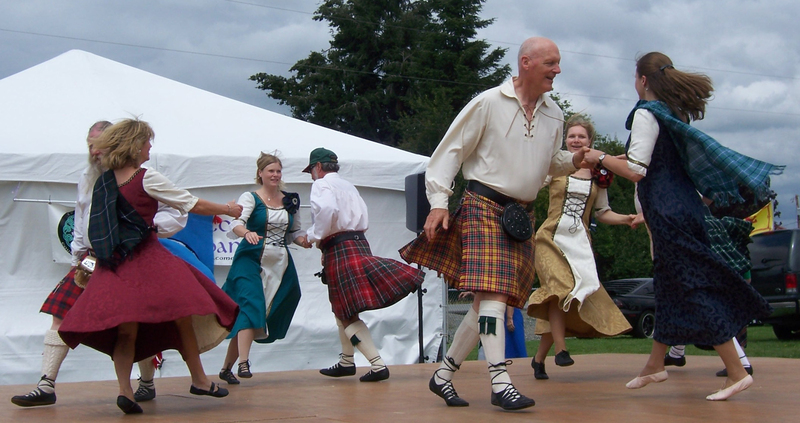 The team performs at private parties, public functions, Scottish themed evenings, formal balls, weddings, banquets, and at the Annual Bellingham Highland Games and Skagit Highland Games. Check the Calendar for scheduled performances. Do you have an event where you would like the BSCD Dance Team to perform? Contact the Demonstration Team Coordinator. The Performance Program. 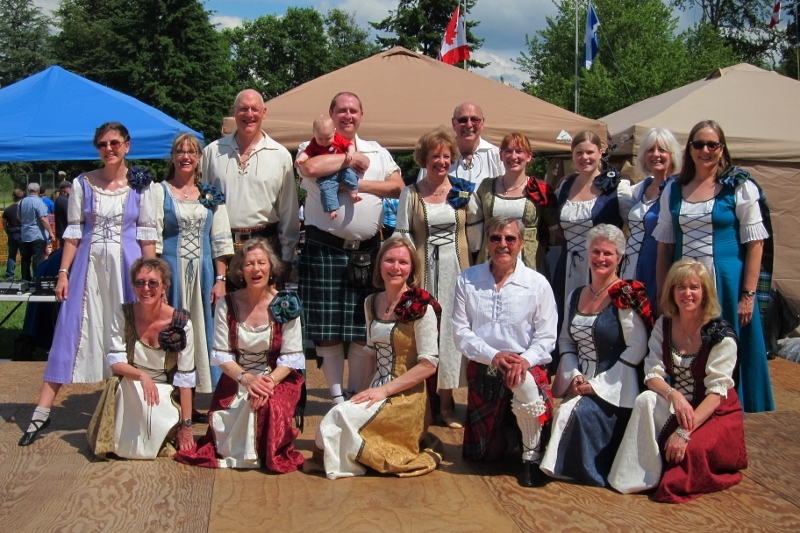 The Dance Team performs lively, toe-tapping jigs and reels, and elegant strathspeys. The program is designed by the Dem Team Coordinator to compliment each event and provide a variety of dances to delight the audience. The Dem Team has two styles of costume – Casual/Festival and Formal – that are worn to fit the occasion and upon request. Scottish Ladies Stepdance is also a part of the program. The colorful costumes feature a variety of tartans. The robust music of Scotland inspires the dancers and delights a toe-tapping audience.